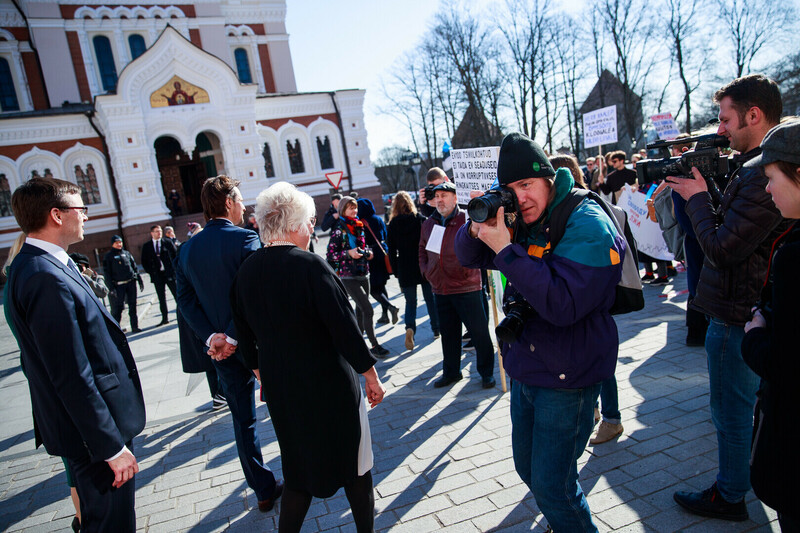 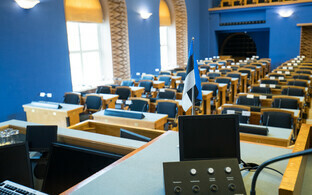 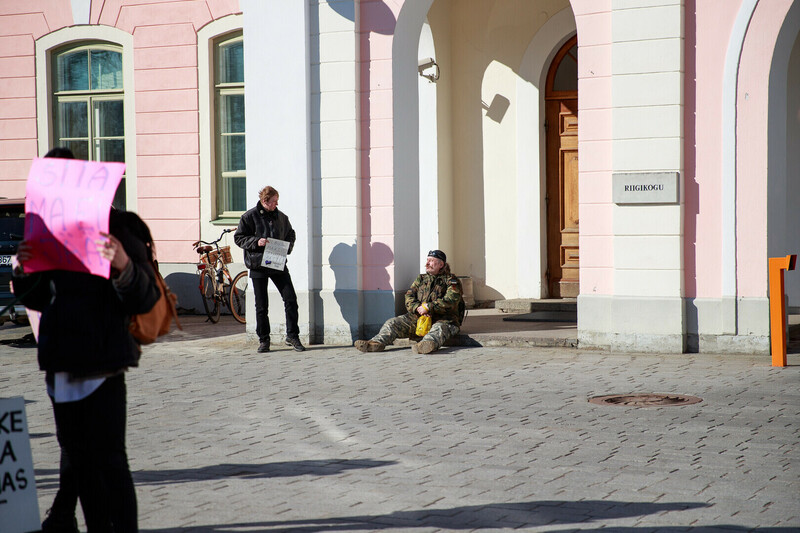 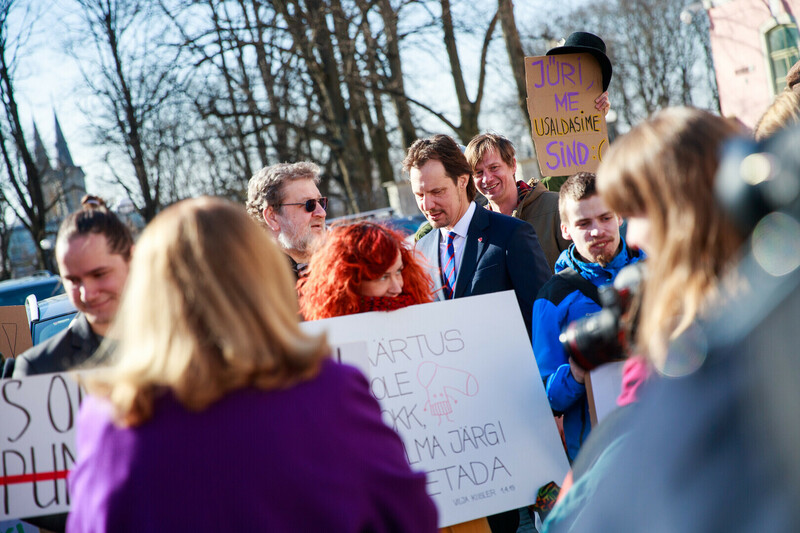 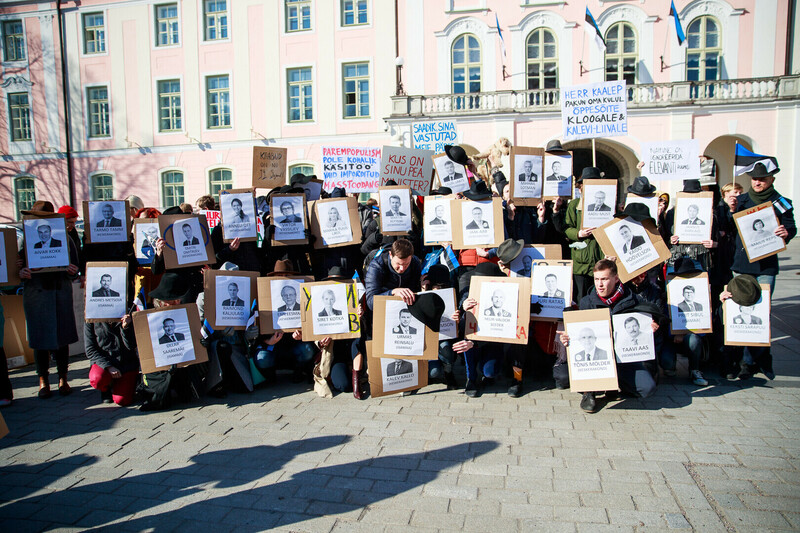 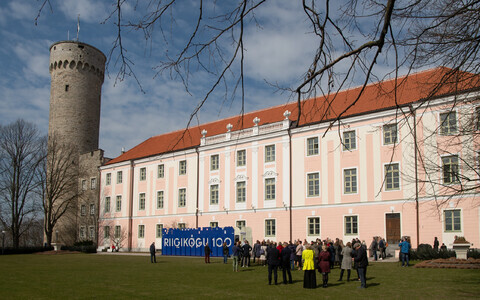 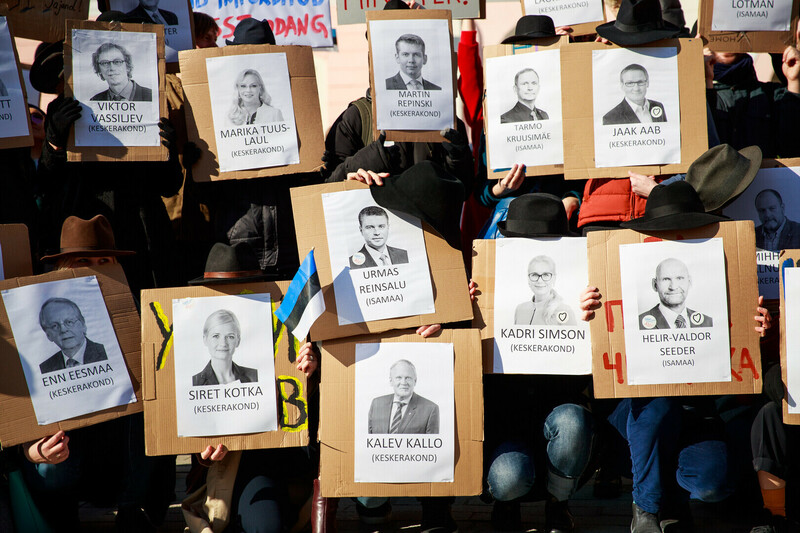 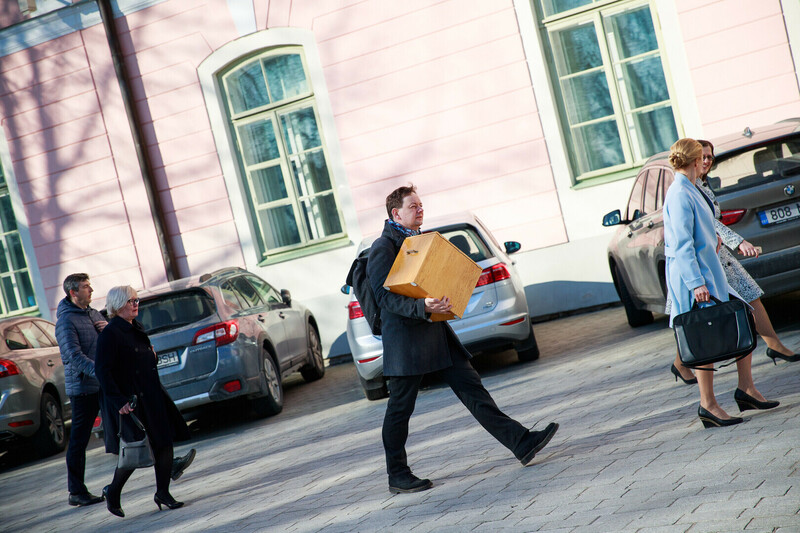 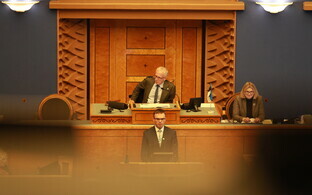 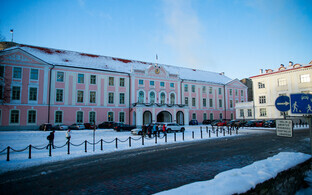 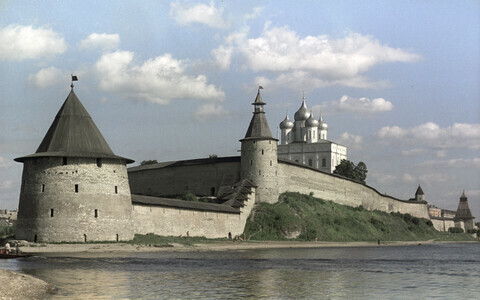 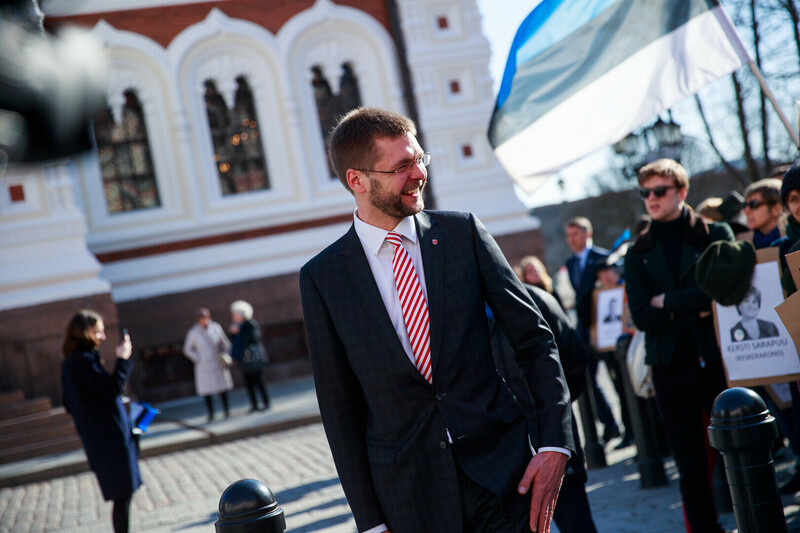 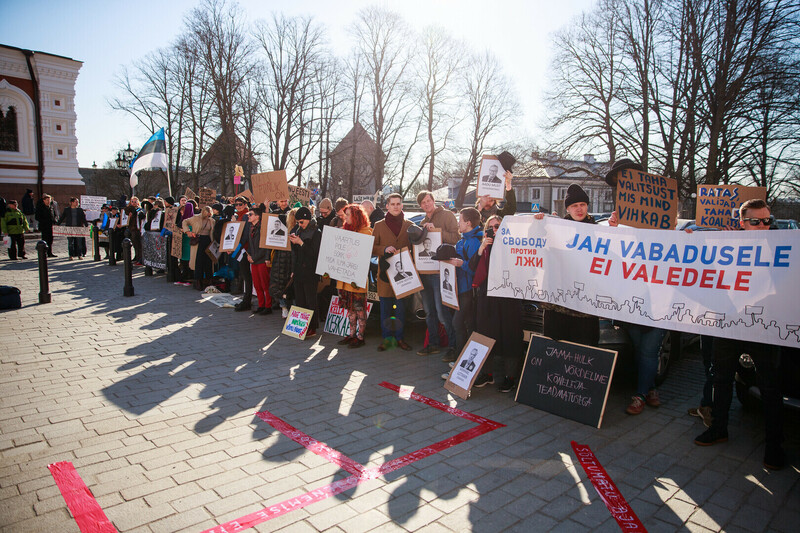 MPs convening for the opening sitting of the XIV Riigikogu on Thursday morning were met in front of Toompea Castle by protesters who showed up to remind them of the fundamental values of a free and democratic society. 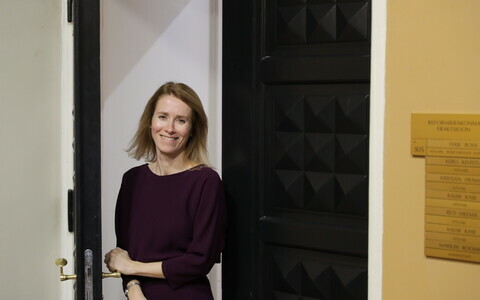 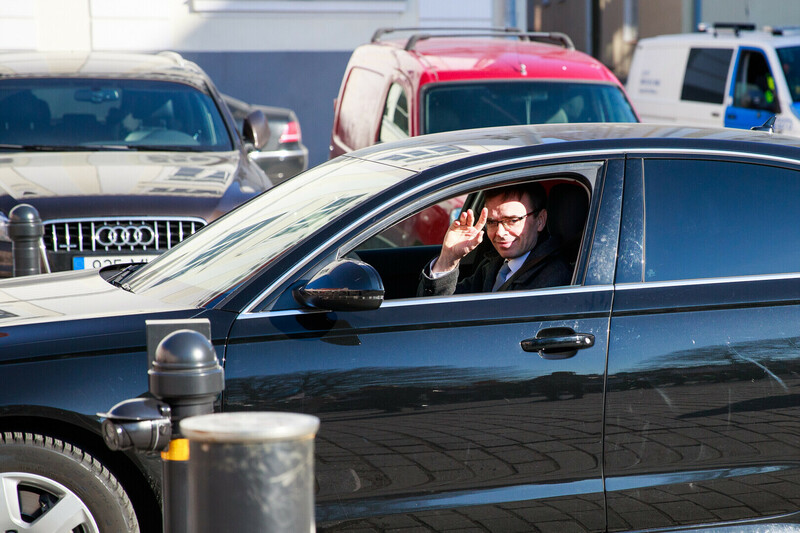 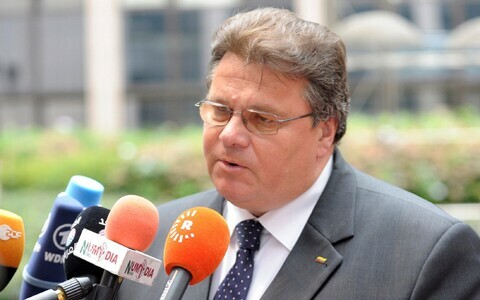 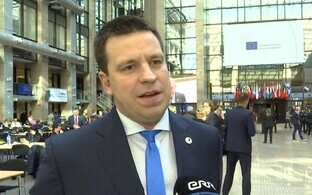 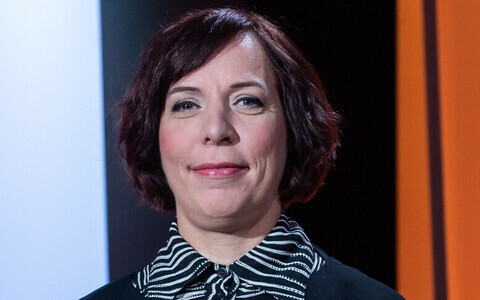 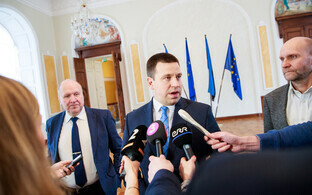 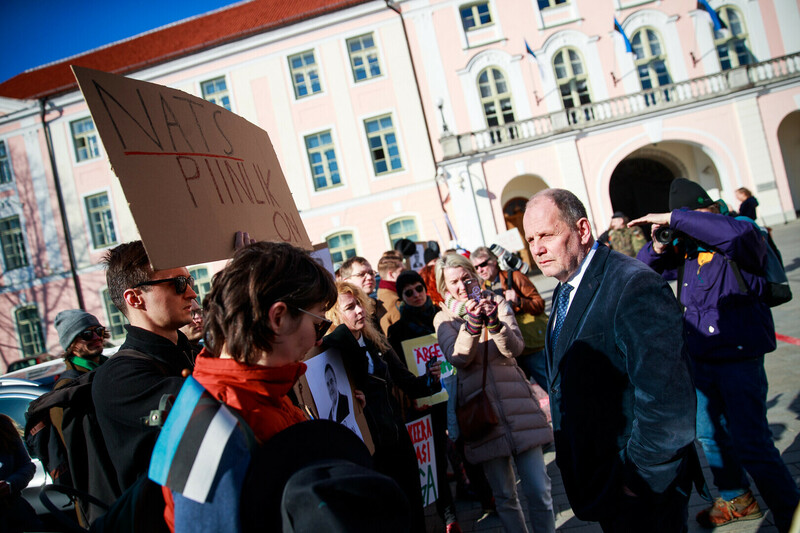 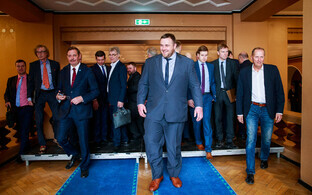 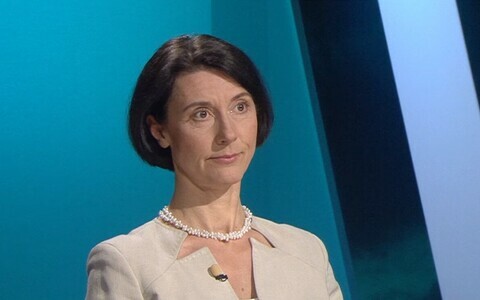 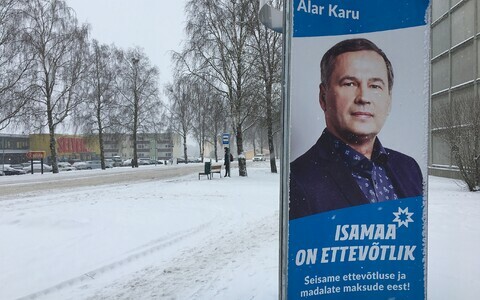 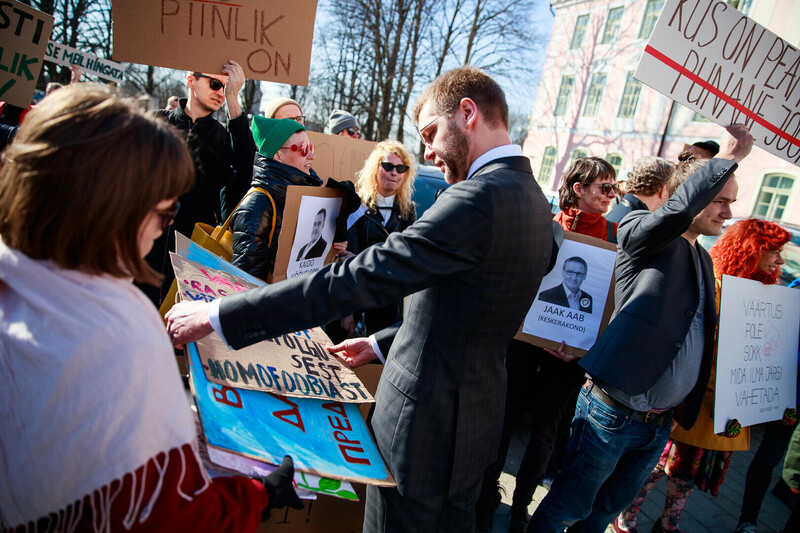 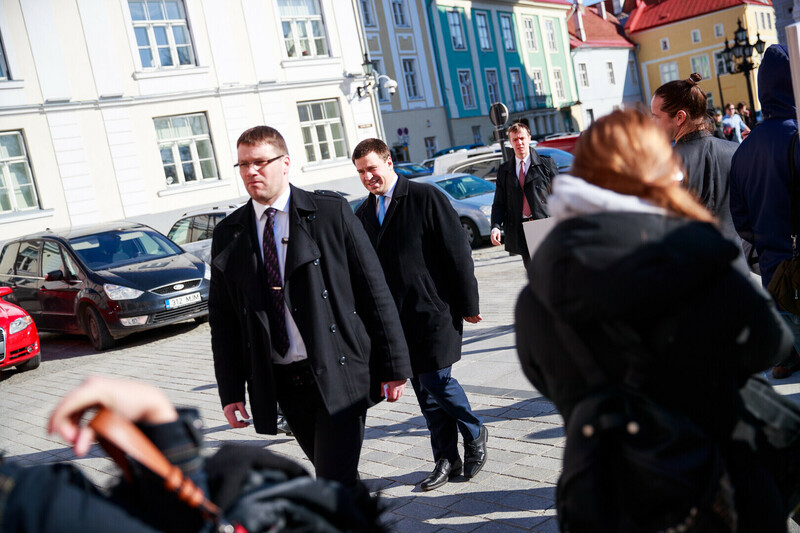 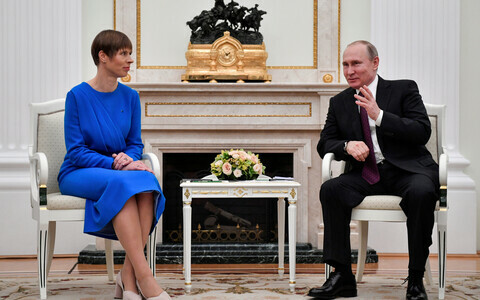 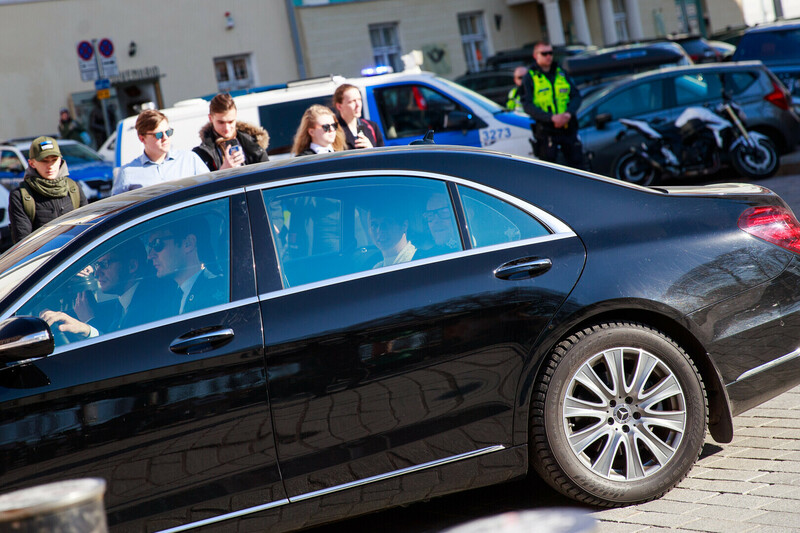 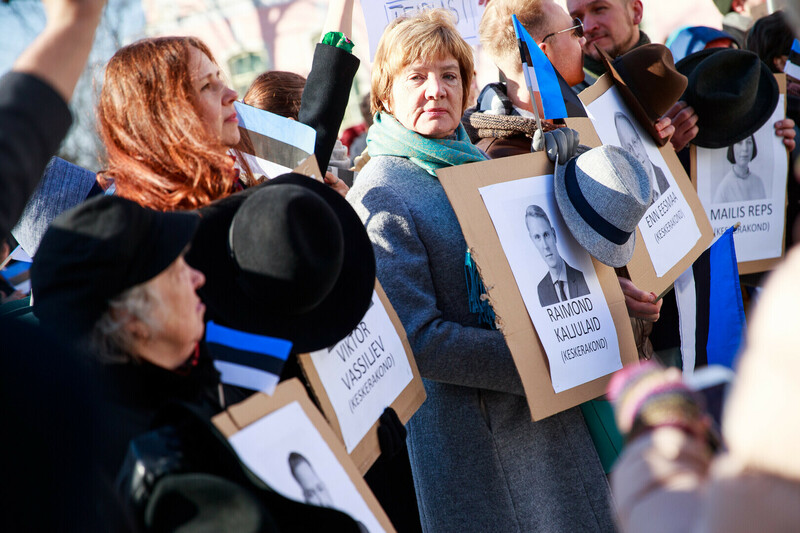 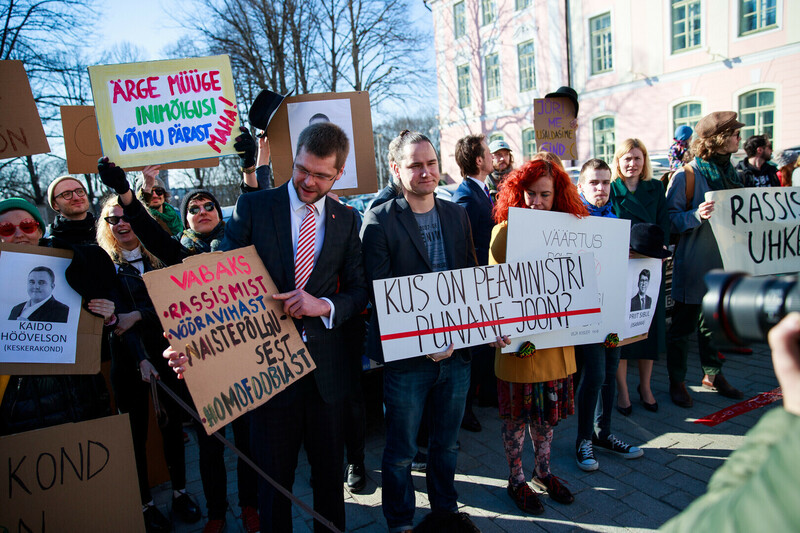 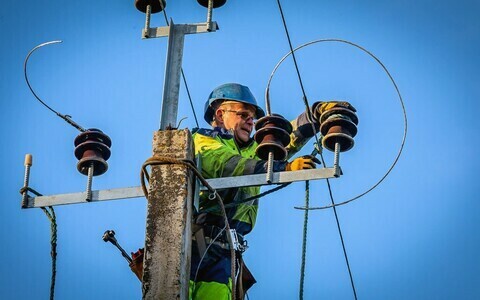 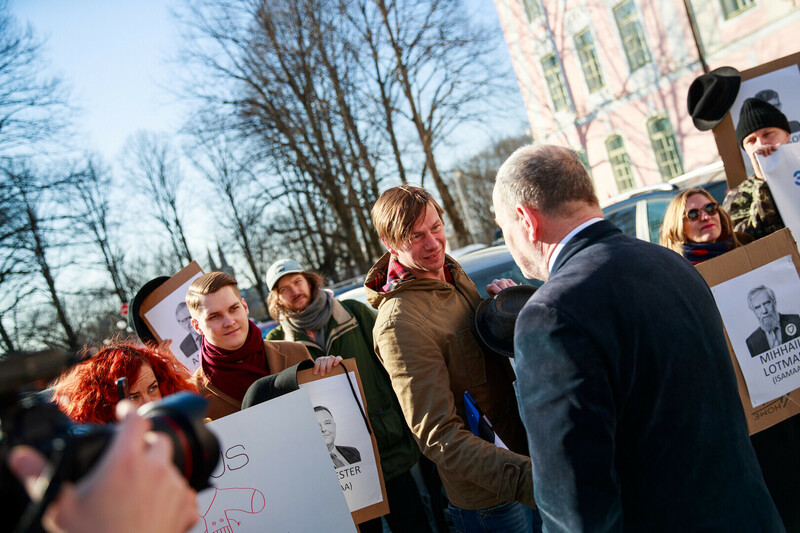 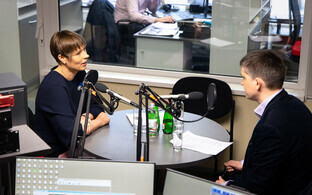 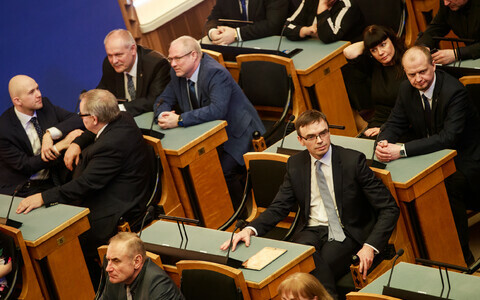 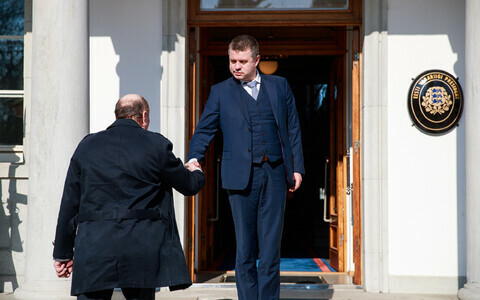 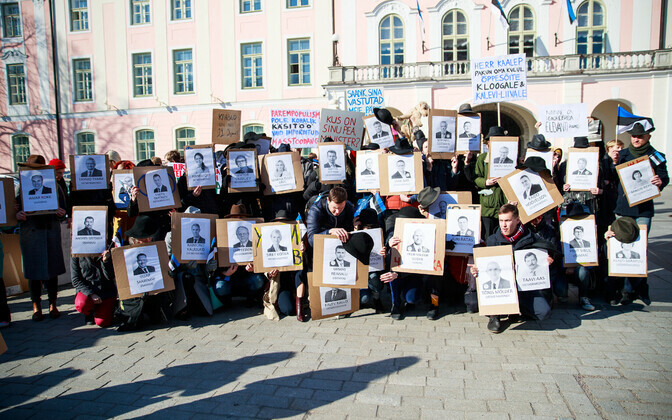 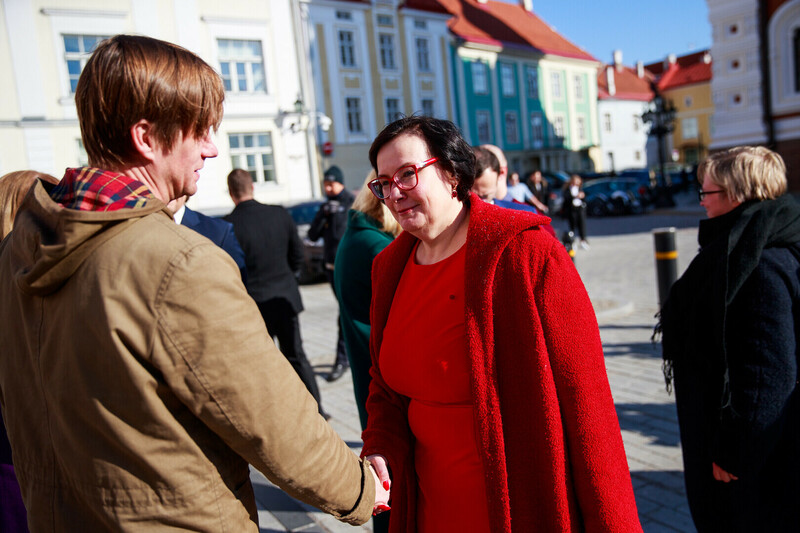 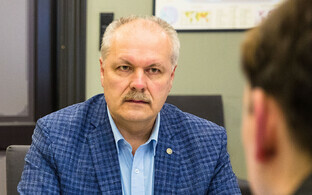 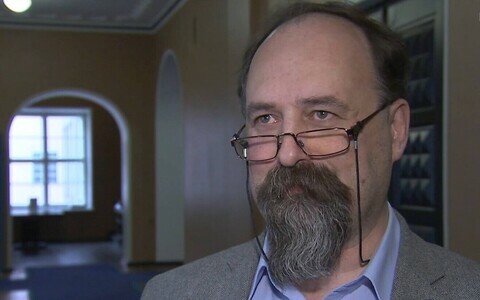 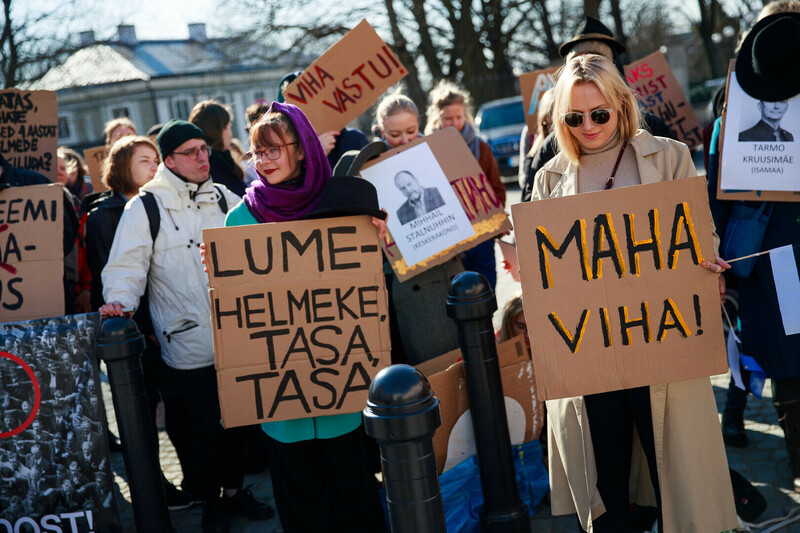 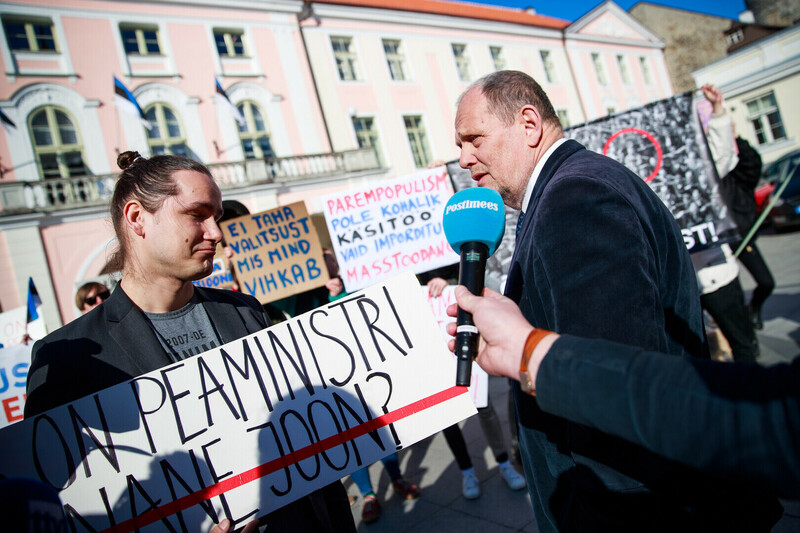 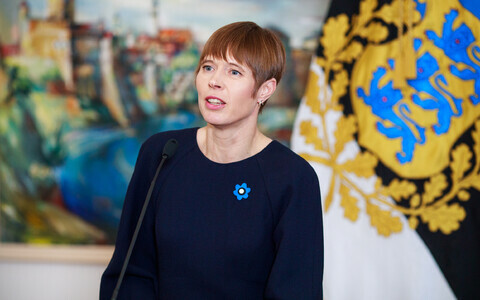 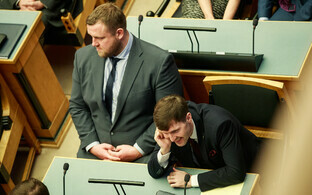 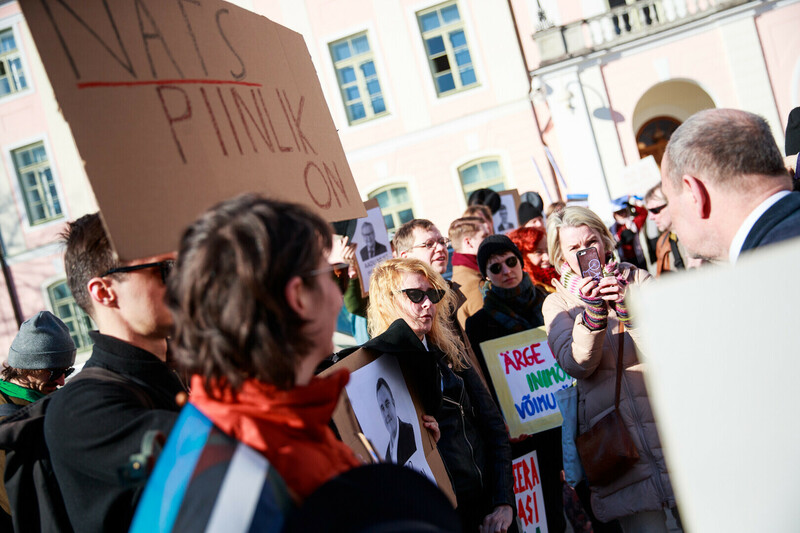 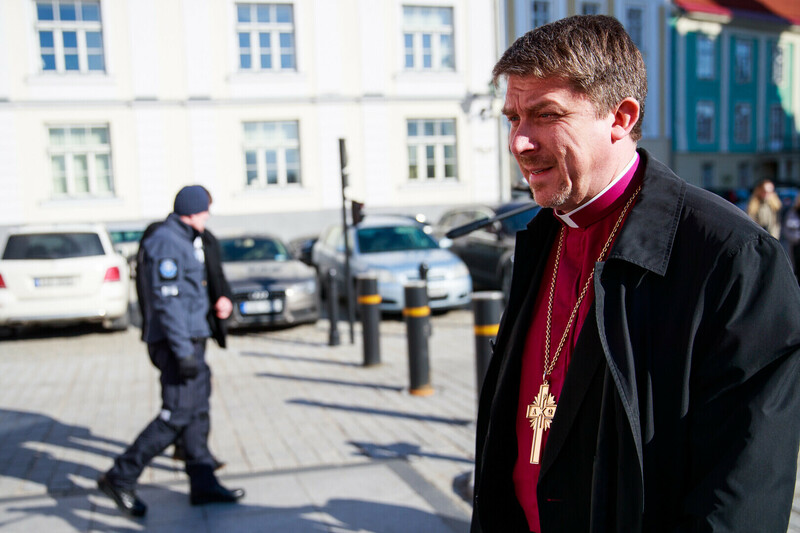 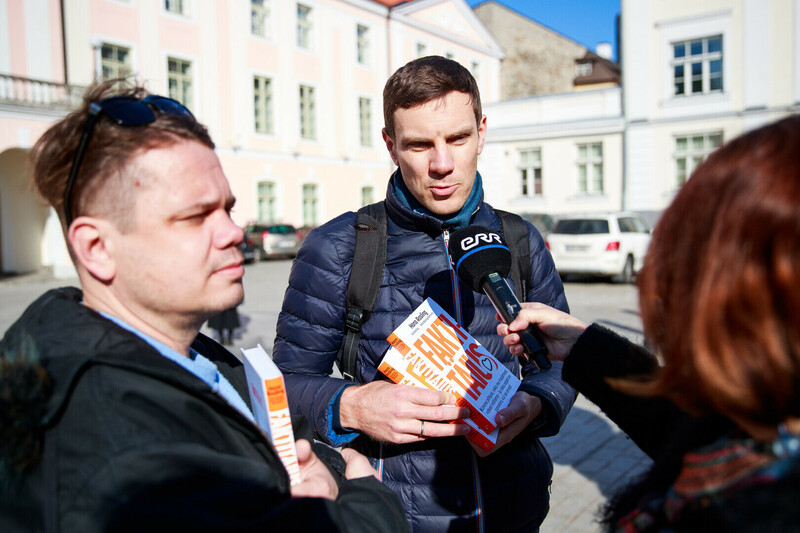 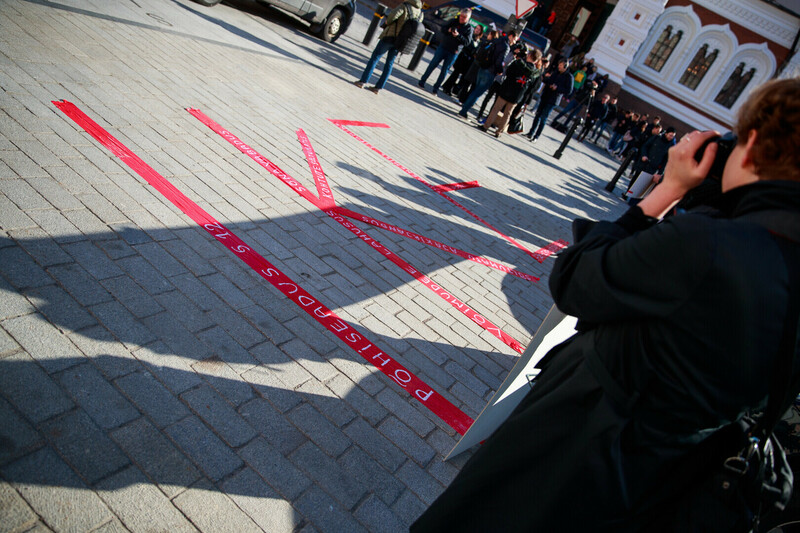 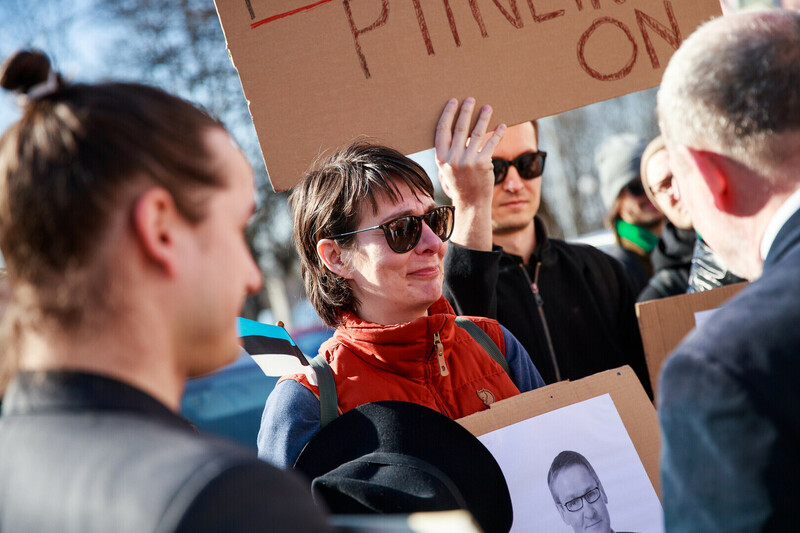 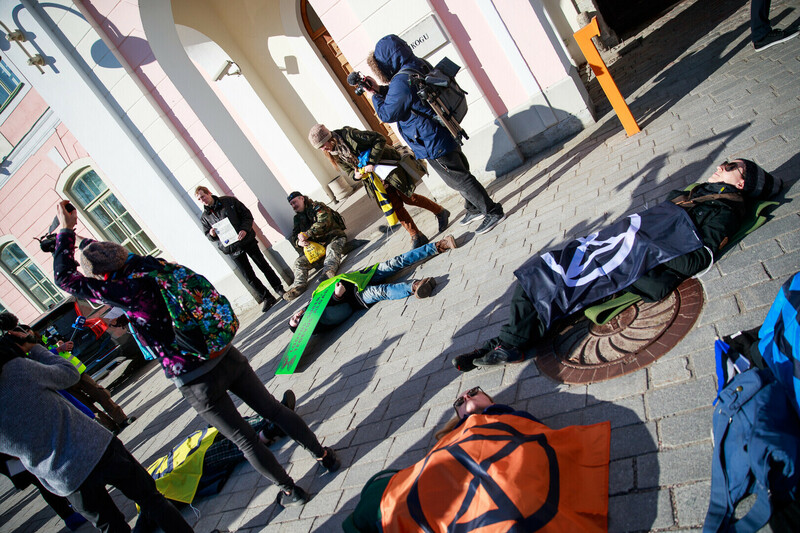 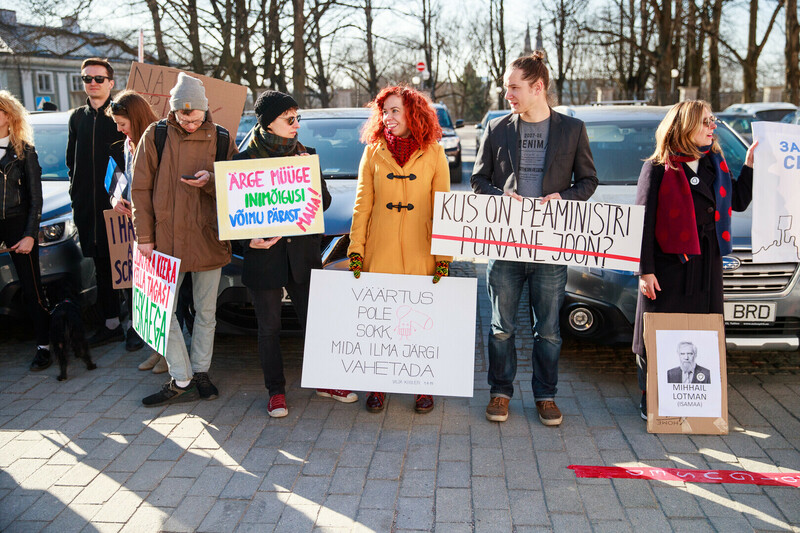 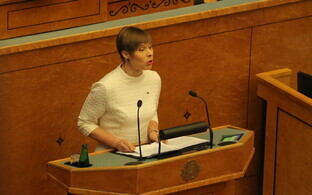 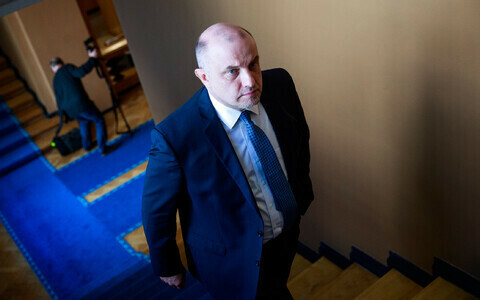 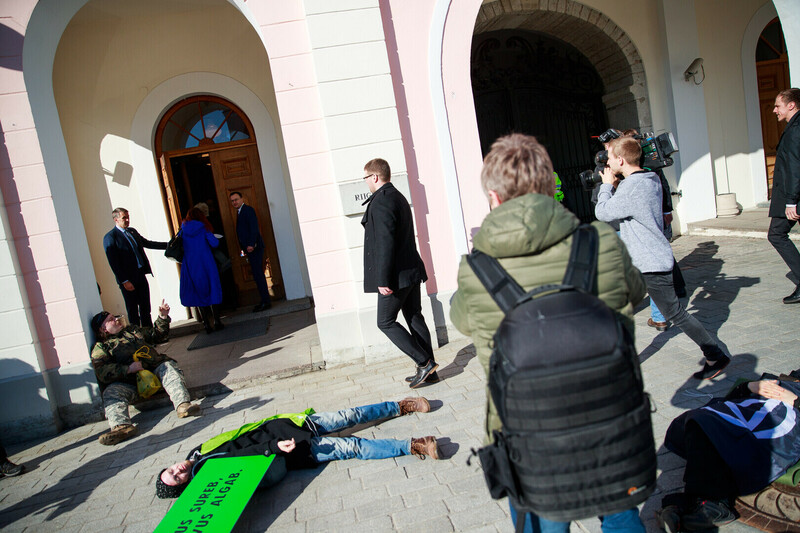 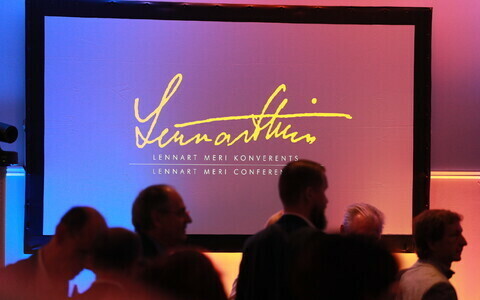 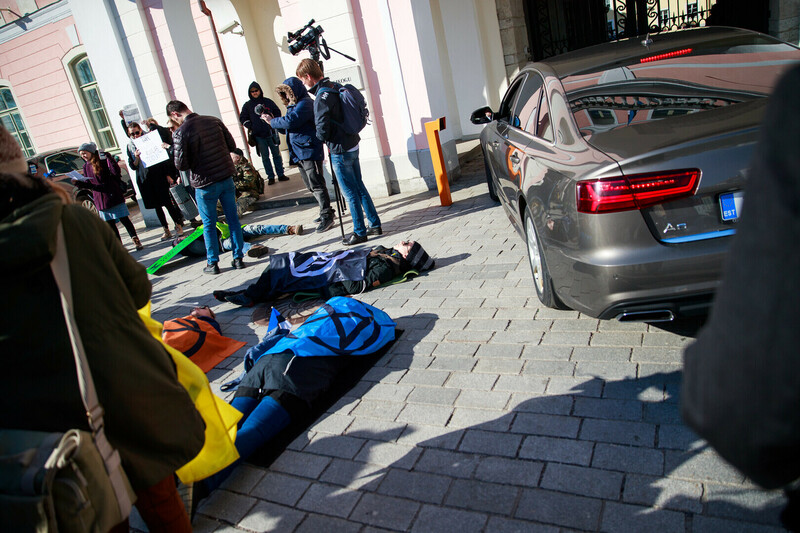 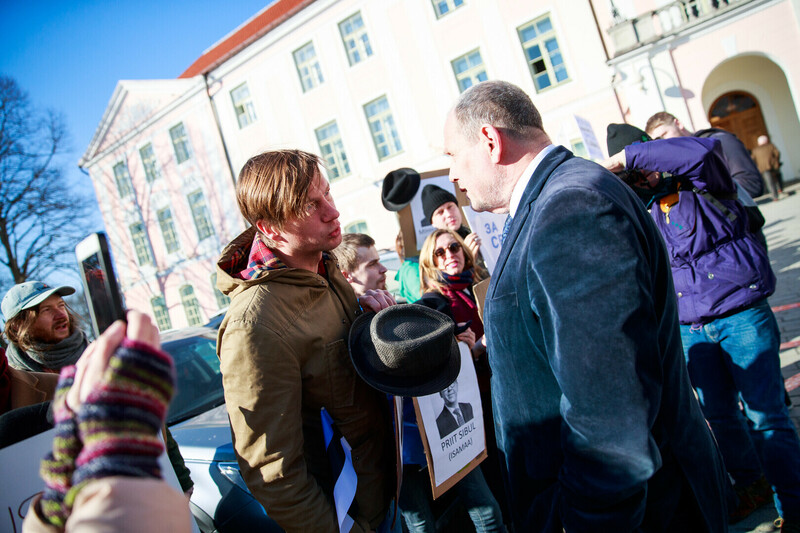 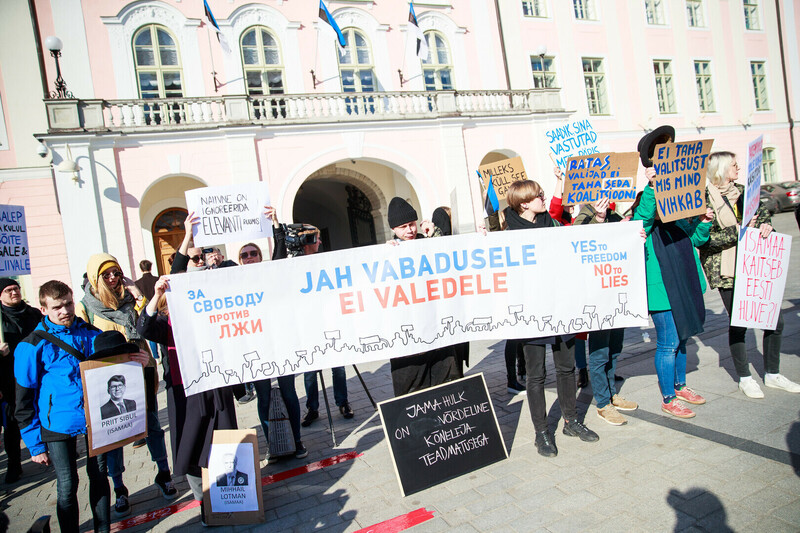 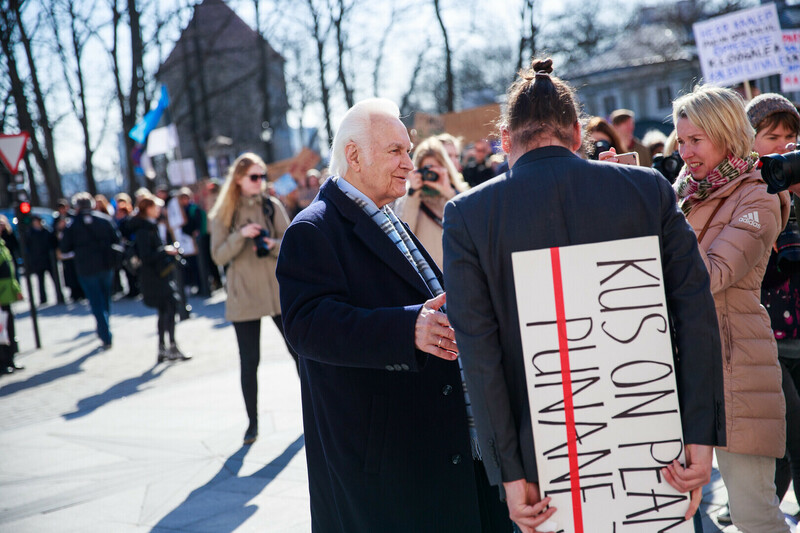 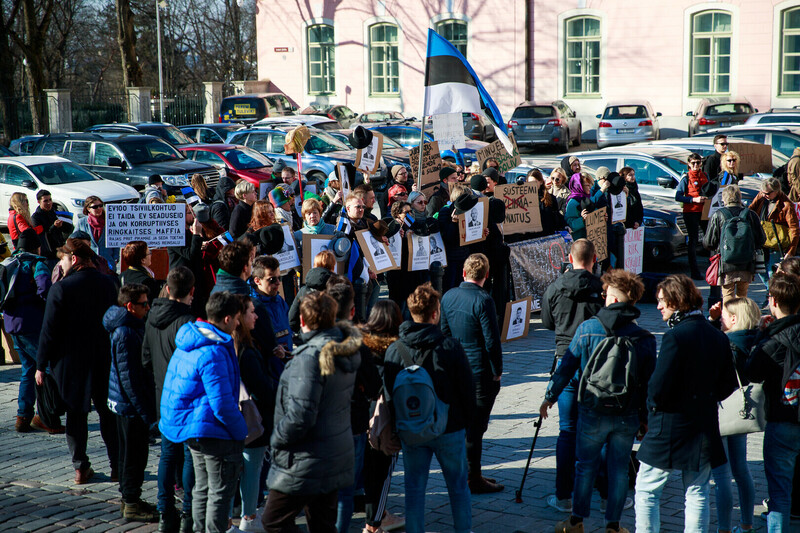 "In launching coalition talks with the Conservative People's Party of Estonia (EKRE), the Centre Party and Isamaa promised to tame their radical partners," protesters said in a statement. 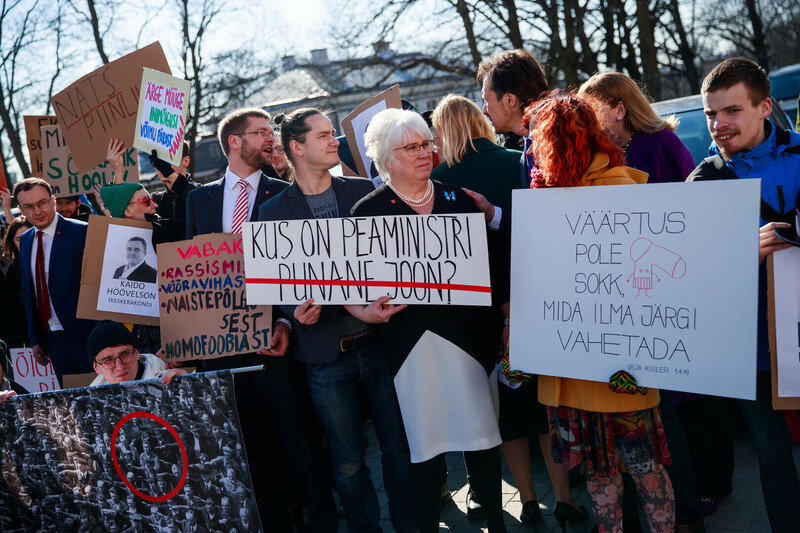 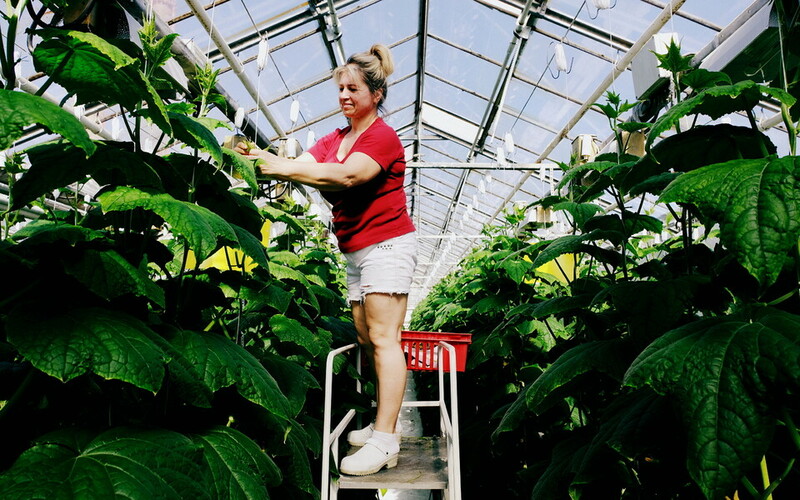 "The past three weeks have shown that it is instead EKRE that has, figuratively speaking, pulled their hats down over the eyes of their partners. 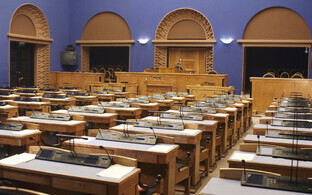 To illustrate this, we are gifting Centre and Isamaa MPs hats." 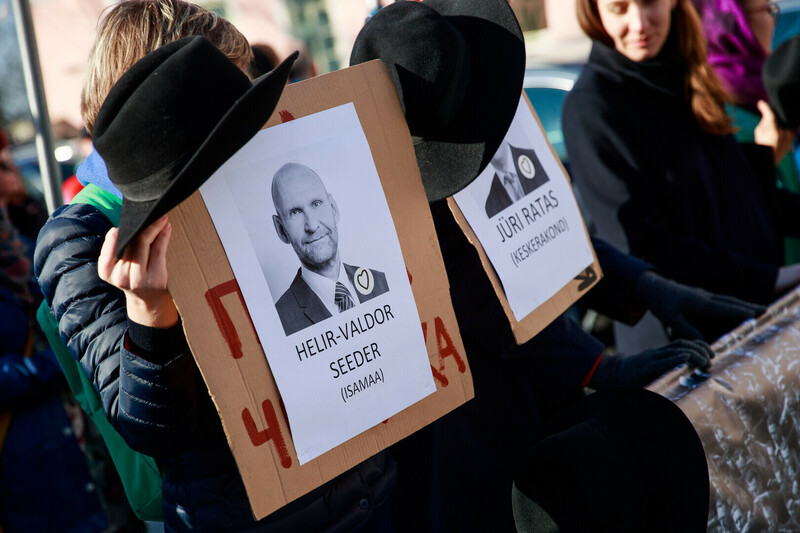 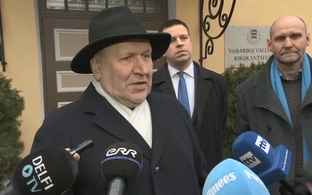 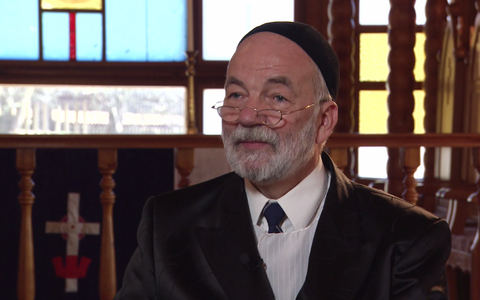 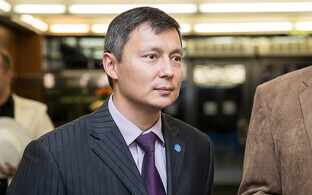 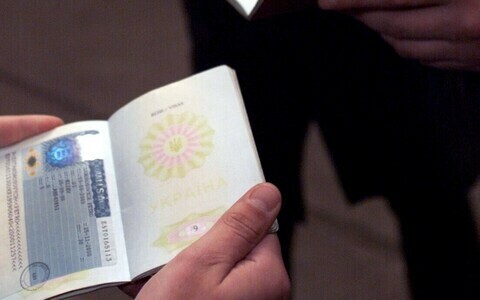 The hats are a reference to the black brimmed hats that EKRE members have often been seen wearing during the course of coalitions talks in particular. 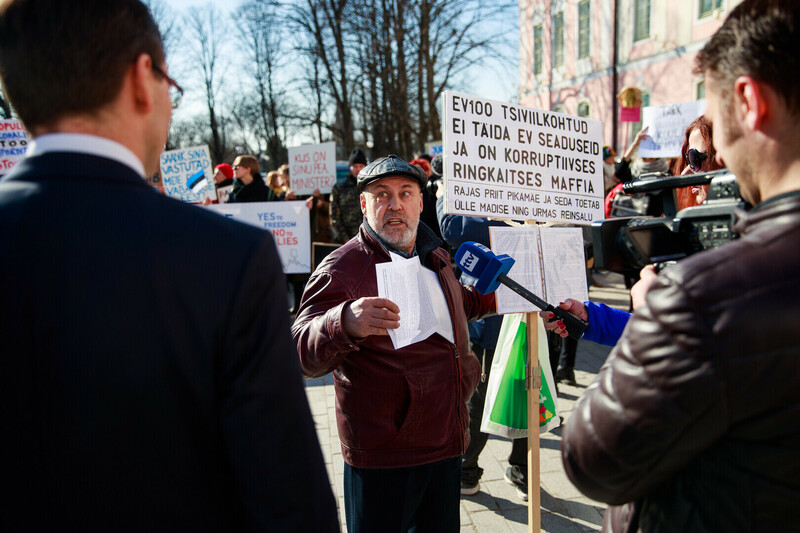 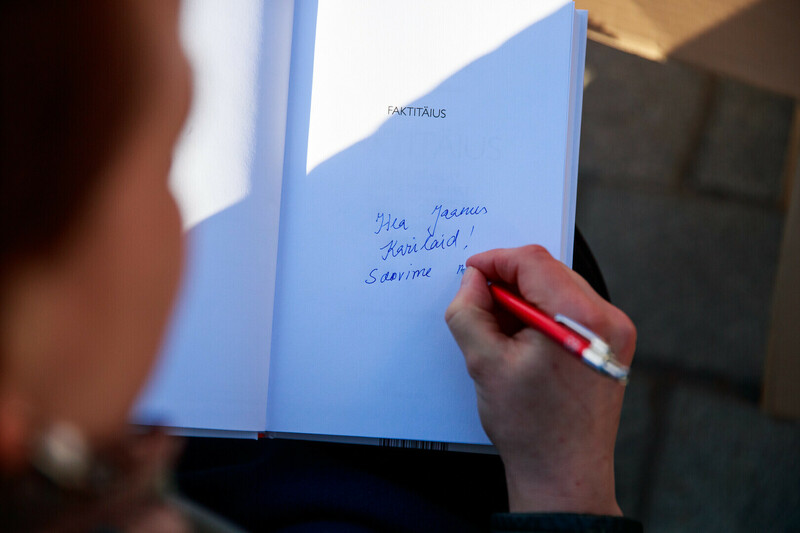 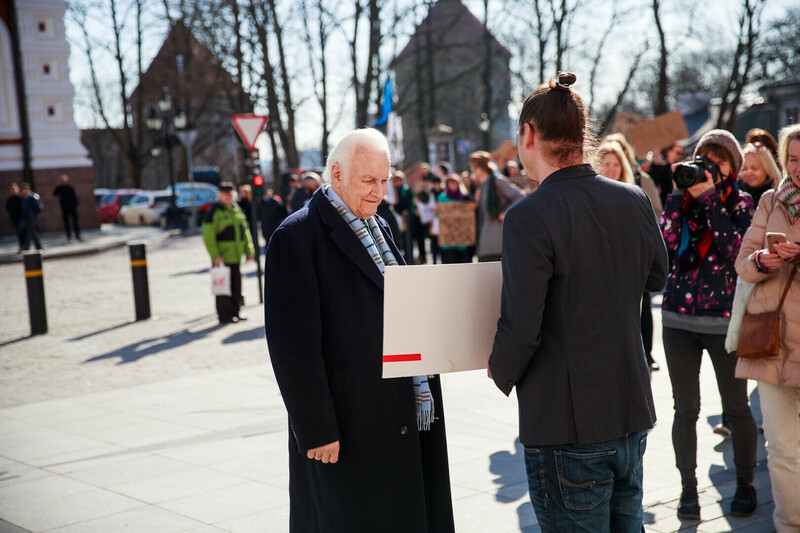 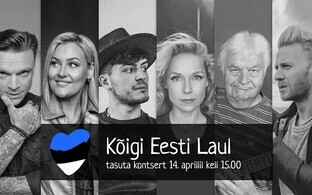 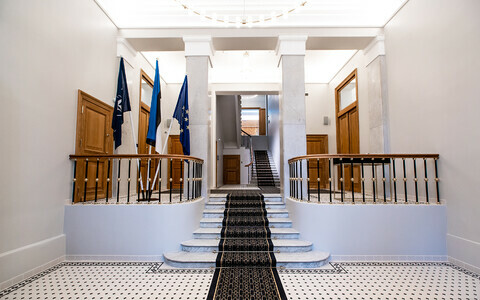 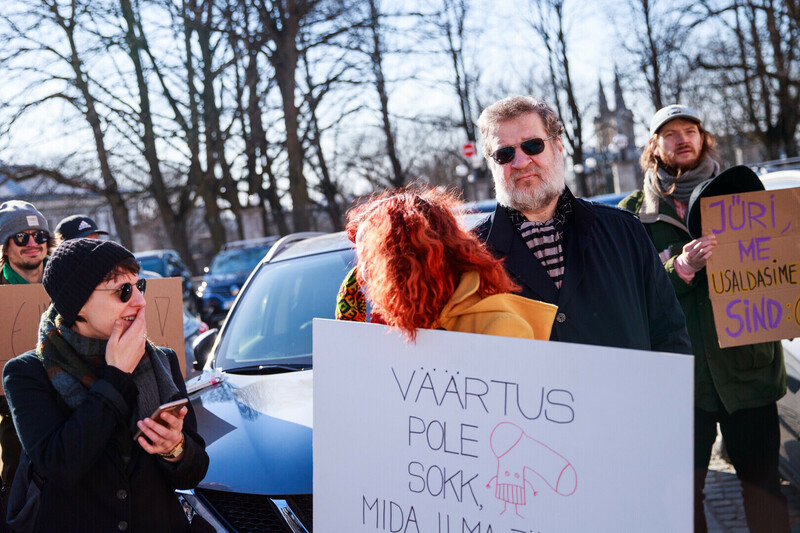 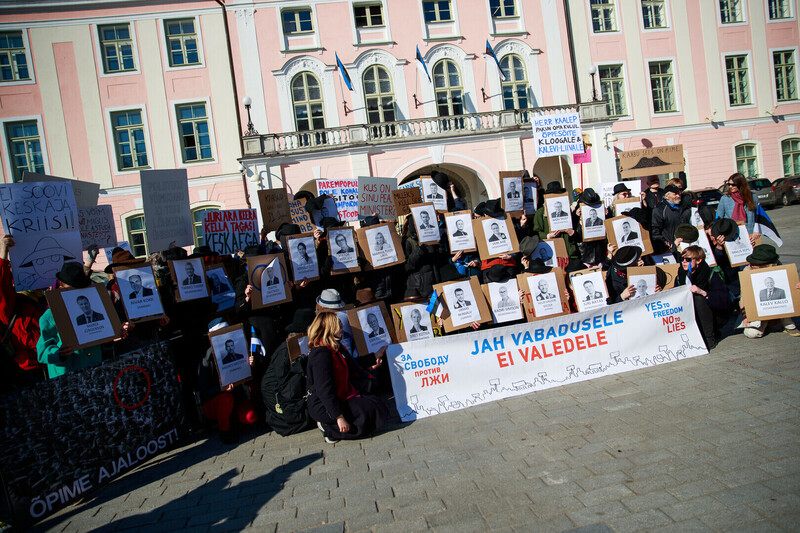 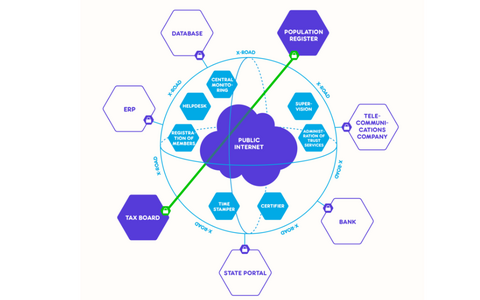 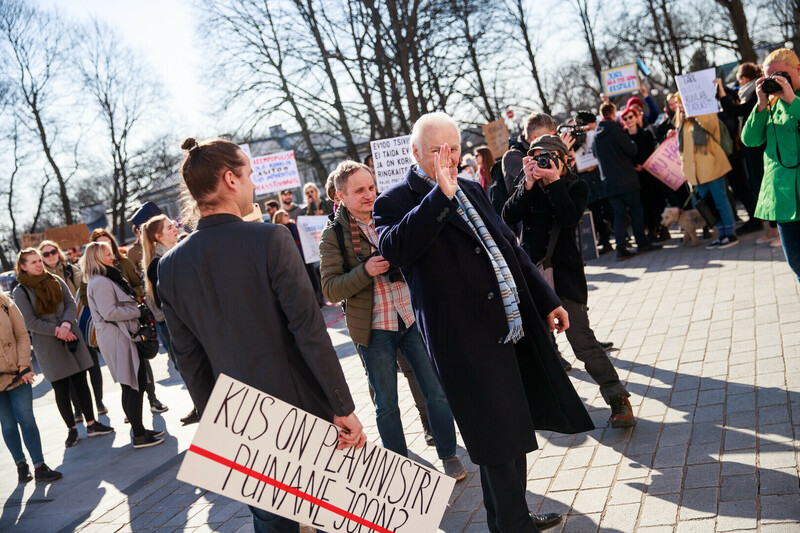 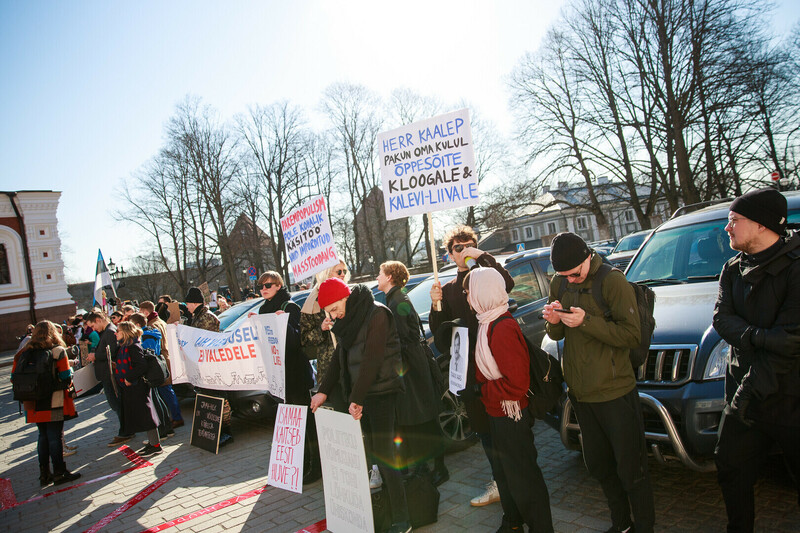 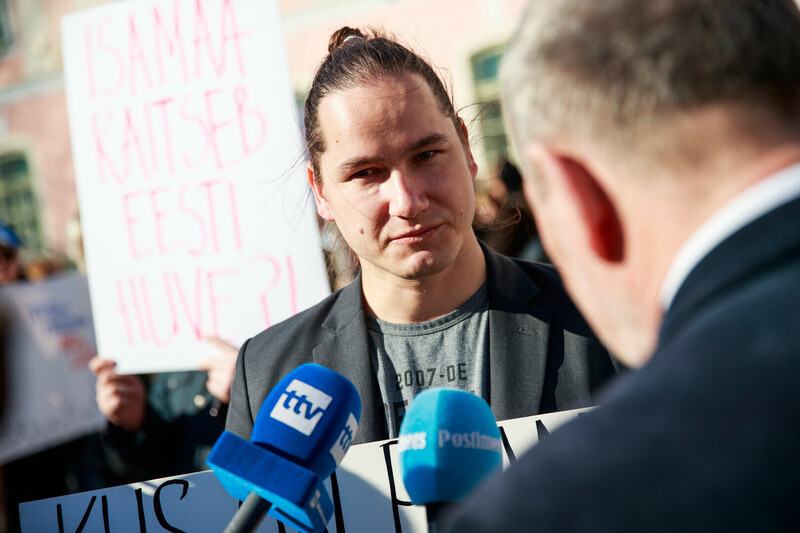 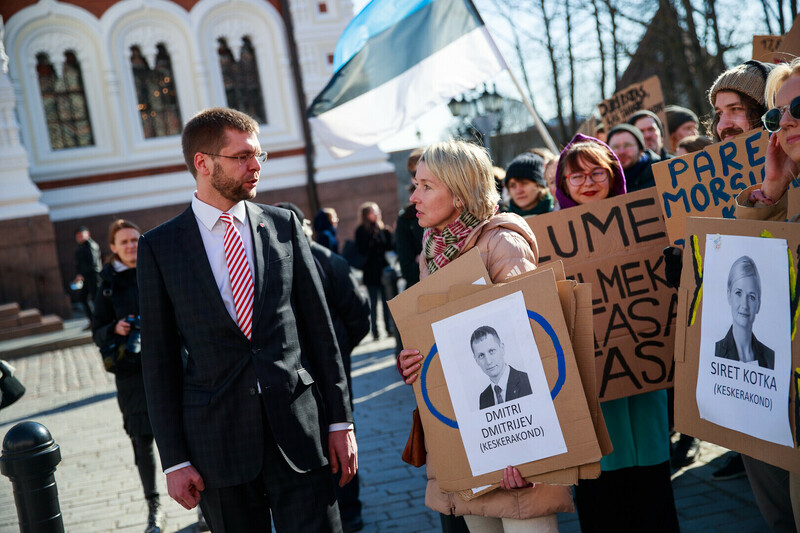 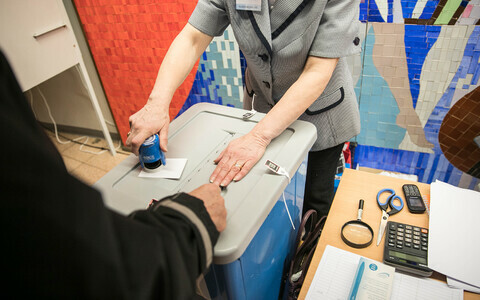 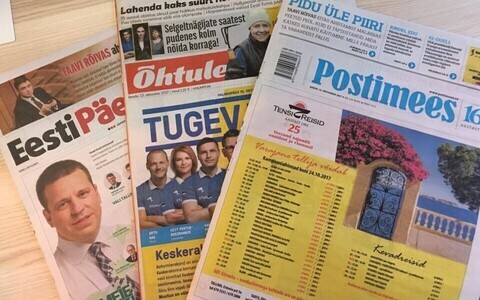 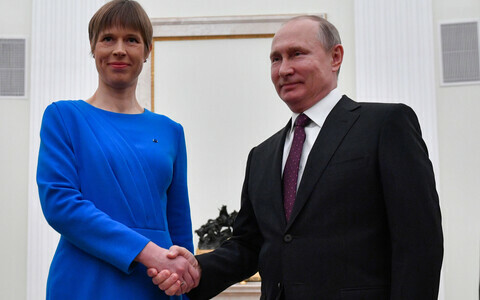 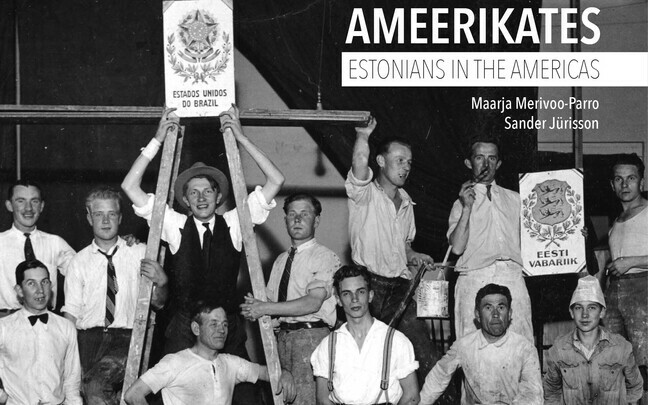 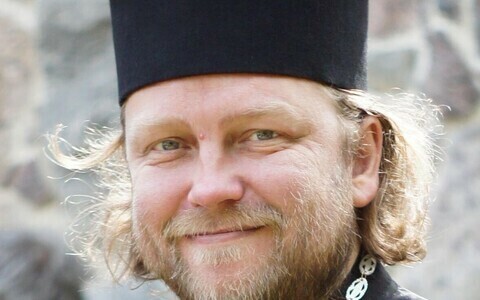 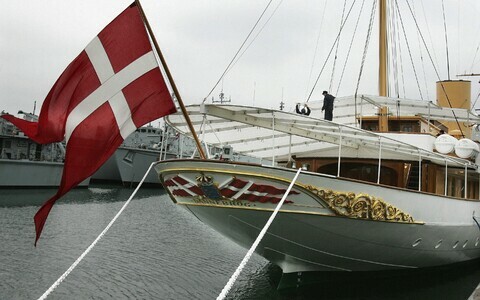 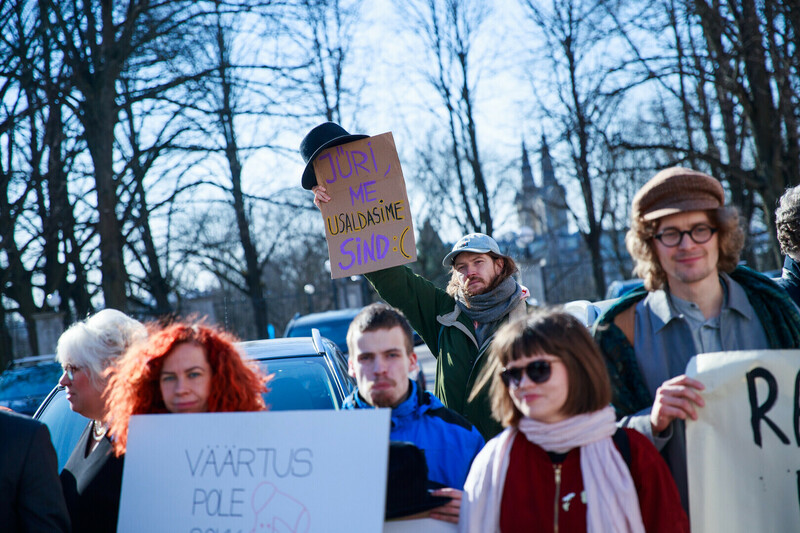 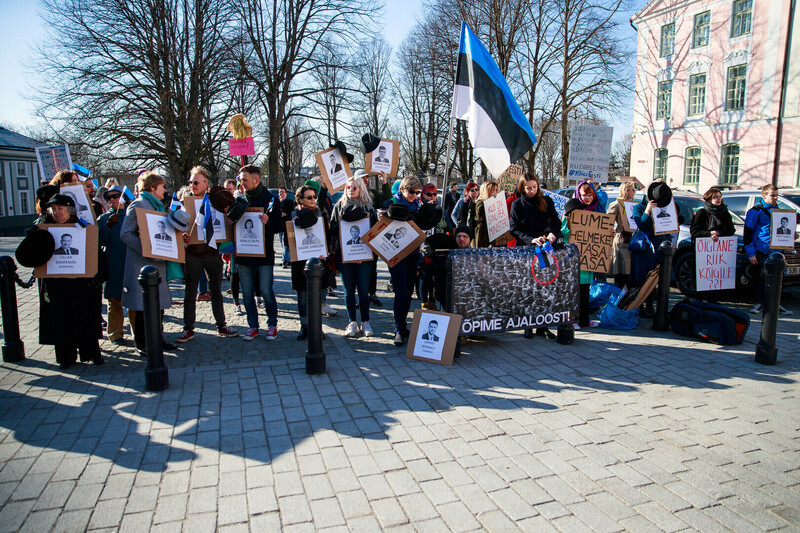 Involved in the organisation of Thursday morning's protest were people connected to the Kõigi Eesti (#myestoniatoo) movement.